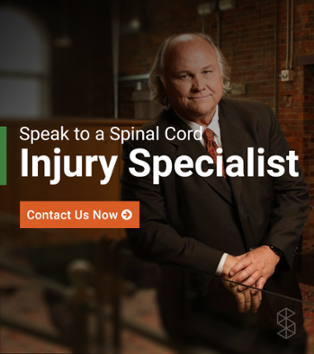 The legal considerations of a spinal cord injury from contact sports could range from the liability of a coach for not adequately following safety procedures to negligence of a manufacturer in distributing faulty equipment. Spinal cord injuries that occur during contact sports most commonly affect young people ranging from the ages of 16-30. As you may have surmised, this tends to happen because young people are typically more active and are involved in many different types of sports and physical activities. More than half of the injuries in sports are cervical spine injuries, yet injuries to any part of the spine are possible. 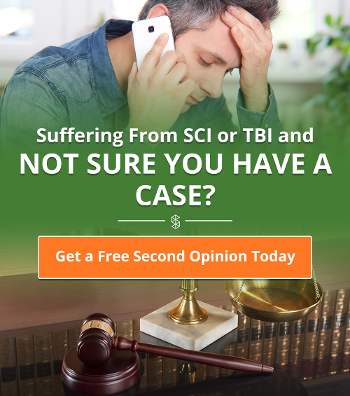 Though football statistically has the highest number of injuries involved, sport-related spinal injuries can stem from any contact sport and it is quite possible the injury is the result of the negligence of players or other involved parties. If you have not been informed by your instructor of these steps and they have not been addressed during practices - this person has breached one or more of their duties and could be found responsible for your spinal injury. You deserve help, this should never have happened to you and you should not have to face the repercussions for someone else’s carelessness on your own. The instructor may be liable for not telling a child how to properly tackle or safely execute a move. The coach or instructor could be liable for failure to inform you of the risks associated with sports. The person in charge could be liable for not taking you off the field after suffering a concussion. The person in charge could be liable for letting you perform a dangerous stunt without ensuring a mat was in place. If there is a team physician, they have certain obligations and protocols to be followed that will be analyzed. The referee may be liable as it is part of their job to ensure the safety of the players by following specific and defined rules. These rules are meant to regulate the game and create a safe environment for all involved. There may be a faulty product or defective design of equipment that could have resulted in the injury; in this case the manufacturer can be held liable. The moment that is a possibly catastrophic injury has occurred, there are necessary and delicate steps that must be taken. Those responsible in handling the victim must do so without any excessive movement to reduce the chance of a second injury. If assessment of the injury happens on the field, all life threatening conditions must be ruled out. The victim should be questioned about sensations in limbs, weakness, and neck pain. If any of these things are present the transportation of the individual should be done with the utmost care. If mobility and all sensations in limbs are present, that does not mean a person is in the clear of detrimental injury. It is incredibly important to find medical attention immediately after an injury occurs. Many athletes tend to want to return to playing the sport or feel pressured by teammates to so before adequately recovering. Continuing play after an injury can cause further damage and ultimately result in less financial help from your insurance. This decision often involves multiple parties such as the coach, team, sports organization, or school board which expands the issue of who is responsible for further inquiry. Remember, your insurance company is most interested in paying out the least amount of money to settle your claim. It is important not to sign anything until you are certain that the extent of the injury is understood and the costs of all necessary treatments are included in the settlement. For anything more than minor injuries, getting an attorney is always highly recommended because there are hidden costs which could add up quickly. While insurance should cover most of the medical treatment, it doesn't usually help the individual with the emotional stress that comes with the loss of the ability to enjoy these activities and/or other life care effects that may come as a result. A third-party insurance claim, based on the evidence that the third party is liable for the injury, might include these things as “general damages”, but the coverage this provides usually isn’t for much. Depending on the level and nature of the location of the sport, there may already have been certain specified laws laid out in cases such as these but these all vary by state. Not all occurrences are the same and what has happened to you did not happen to anyone else. Every aspect of the scenario matters and it is not something you can adequately assess on your own. In order to be clear on what your rights are in this situation, do not hesitate to get a lawyer to help you understand them and what steps are the wisest for you take. Many legal cases have been brought up against schools and coaches and team organizations - know that you are not alone.